Over the last few days several books from Manning Publications appear to have been added to Safari Books. 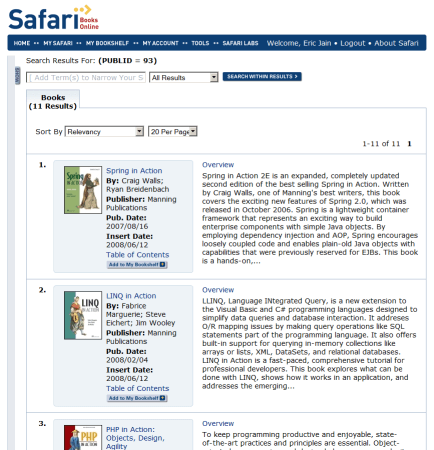 So far there are 11 books, from Jess in Action (published July 2003) to jQuery in Action (published February 2008). I’m somewhat surprised that there was no announcement (so far) on either company’s web sites… In any case I’m hoping that there is more to come!